Even before our current era of film, in which intricately interconnected "cinematic universes" link so many movies together as if they're one gigantic, super-long film released in installments over many years, Hollywood has creatively used one successful movie as a jumping-off point for more successful movies. Sequels have been commonplace for decades, and prequels really came into fashion after Star Wars introduced audiences to a pre-Vader Anakin Skywalker. There's also the relatively rare (to film) concept of spinoffs. It's extremely commonplace in TV to take a popular character from a series and build a new one around them — Frasier originated with Cheers and The Simpsons began as a feature on The Tracey Ullman Show, for example. It happens in movies, too. The Scorpion King is a spinoff of the Brendan Fraser-starring The Mummy movies, and those Minions from Despicable Me proved so popular that they got their own blockbuster cartoon. Here are some other movies that you may have forgotten about that are spinoffs of other, more famous films. Back in the 1980s, who would have thought that two of the era's most popular properties — although extremely disparate, and geared toward wildly different audiences — would someday crossover? It's weird, but it's true: Friday the 13th, the bloody saga of Camp Crystal Lake's undead machete-murderer Jason Voorhees, somehow occupies the same universe as the Transformers, those robots from another planet that blend in by posing as trucks and boomboxes. The connection: super-producer Michael Bay, who brought the Transformers to the big-screen with 2007's Transformers before overseeing a Friday the 13th remake. 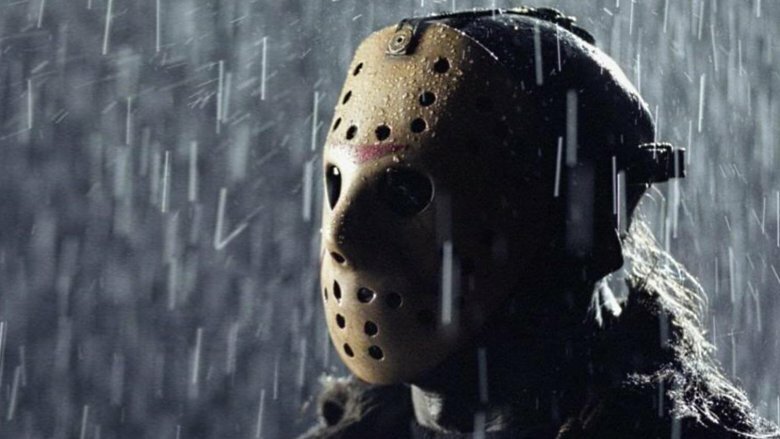 After laying dormant since 2003's Freddy vs. Jason, a crossover with A Nightmare on Elm Street, the Friday the 13th series got a full-fledged reboot in 2009 with Friday the 13th. Actor Travis Van Winkle plays a dude-bro named Trent, who escapes to his summer cabin on Crystal Lake (the site of the original films' murdery campground) along with his girlfriend and some friends. Sort-of spoiler alert: Jason kills all of them, including Trent, who somehow survived the worldwide onslaught of gigantic robots in Transformers. In that 2007 film, he played the ex-boyfriend of Megan Fox's character… also named Trent. He's the same Trent. In the 2000s, Canadian filmmakers Jason Eisener and John Davies conceived a movie called Hobo With a Shotgun, a re-creation of ultra-violent, super-cheap '80s action movies. The plot: a rail-hopping drifter (a hobo, if you will), gets caught up in a crime family dispute, which at one point involves a boss' evil sons setting a bus full of kids on fire. Investors pulled funding because of that scene (despite being cool with a sexually deviant Santa, a tentacled monster, and other wildly insane elements), so Eisener was back to square one. Fortunately for him, in 2007, Robert Rodriguez set up a contest to promote Grindhouse, a movie-going experience that aimed to make viewers feel like they were in a low-budget 1970s exploitation movie house. Along with two full-length movies (Rodriguez's Planet Terror and Quentin Tarantino's Death Proof), it also included trailers for non-existent movies put together by Eli Roth, Edgar Wright, and Rob Zombie. The contest urged filmmakers to make their own fake trailers. Eisener spent just $150 on his Hobo With a Shotgun trailer… and he won. It became a viral hit, and was screened as part of Grindhouse during its Canadian theatrical release. All that attention helped Eisener secure the funding to make a real, full-length Hobo With a Shotgun. 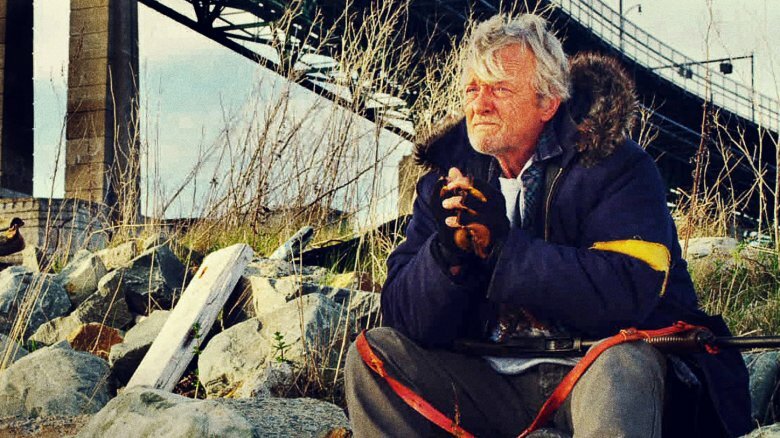 With '80s movie hero Rutger Hauer starring as the unnamed Hobo, the film immediately became a cult hit. The Spy Kids movies were a lot of fun, taking James Bond tropes and transforming them into zippy, candy-colored, modern-day espionage thrillers for a young audience. The conceit (of the first film): Gregorio and Ingrid Cortez (Antonio Banderas and Carla Gugino) work boring desk jobs for the Organization of Super Spies, only to be called to do actual, exciting spy work during a crisis. Before long, they go missing, and their kids, Carmen and Juni (Alexa Vega and Daryl Sabara) have to save them. 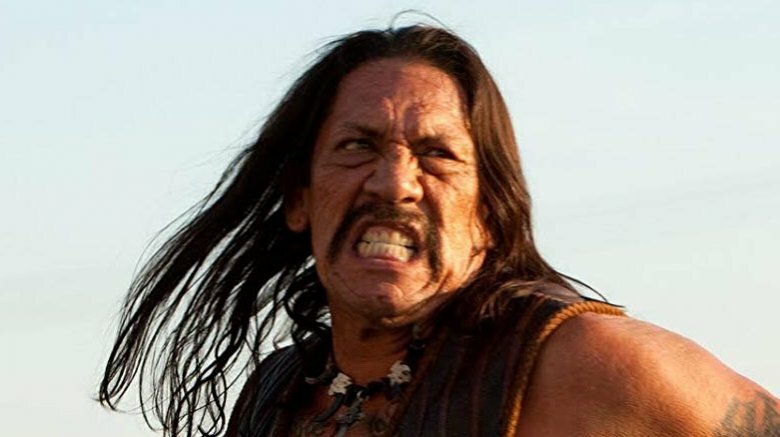 Legendary movie tough guy Danny Trejo makes an appearance in all three Spy Kids movies as Isador Cortez, known as "Machete," brother of Gregorio Cortez and owner of a gadget shop who assists the kids the way Q assists James Bond. But Spy Kids creator Robert Rodriguez knew that he had something special in Machete. As part of 2007's Grindhouse, a collaboration with Quentin Tarantino that re-created a 1970s filmgoing experience, Rodriguez made a trailer for a fake Machete movie, starring Trejo as the character who's now a vigilante and Federale seeking to exact revenge on an enemy with an army of machete-armed fighters. Rodriguez still couldn't get Machete out of his system, so in 2010, he made an actual movie out of the pretend Machete preview. The delightfully over-the-top street-racing (and eventually globe-trotting) franchise The Fast and the Furious didn't really gel until the fourth movie or so, but filmmakers toyed around with a lot of ideas before then. For example, the third film barely involves the series' recurring characters. Set in Tokyo, it takes place in the same universe as the other furiously fast movies, but occurs after the events of 2013's Fast and Furious 6. Weirdly, it's also a semi-spinoff of the 2002 drama Better Luck Tomorrow. Justin Lin directed both films. That movie, about a straitlaced high school student who descends into a world of crime, included a character named Han (Sung Kang), already grizzled and hard-living as a teenager who's often depicted smoking and delivering beatings. A few years later, Sung Kang reunited with Lin on Tokyo Drift, once again playing Han. He'd apparently been a bit farther down the rough path he was already on, and he wound up as part of the films' "family" of criminals. In the 1990s, it seemed like Hollywood turned every even slightly fondly remembered TV show from the '60s into a big-budget movie, and the results were mostly mediocre. 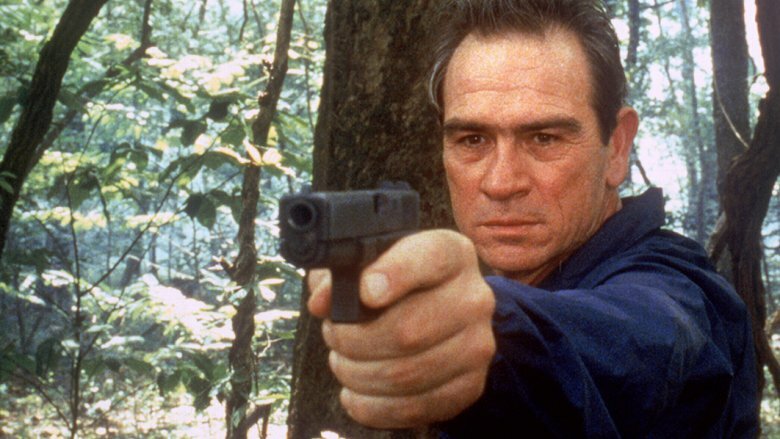 As fare like The Flintstones, The Mod Squad, and McHale's Navy was often marginal at best, it would have been entirely expected that the 1993 film version of the cat-and-mouse show The Fugitive would follow suit. But it wasn't — it's a stone-cold action classic, a thrilling movie with several unbelievable action sequences (e.g., the train crash, the waterfall dive). It even earned an Academy Award nomination for Best Picture. At worst, it would have been a nice vehicle for star Harrison Ford, who portrayed the wrongly-accused and on-the-lam Dr. Richard Kimble. Ford got completely overshadowed by Tommy Lee Jones, who won an Oscar for Best Supporting Actor as gruff, relentless marshal Sam Gerard. He's the kind of guy who always gets his man, and there was potential to send him on more assignments. In 1998, Jones reprised his role in U.S. Marshals, leading another exciting manhunt. The funny and surprisingly touching Forgetting Sarah Marshall was a double revelation. Up to that point, star and co-writer Jason Segel was known solely for acting, playing sweet but goofy guys on TV shows like Freaks and Geeks and How I Met Your Mother. This movie launched his writing career — in 2011, he co-wrote and starred in the franchise-reviving The Muppets. The other breakout success of Sarah Marshall: Russell Brand. Already a hugely popular comedian and TV personality in his native U.K., Brand charmed American audiences as Aldous Snow, a pretentious, libidinous rock star with whom the titular Sarah Marshall (Kristen Bell) ends up after leaving Segel's character. Brand was so charming as this ridiculous, Mick Jagger-esque libertine that Segel's Forgetting Sarah Marshall co-writer Nicholas Stoller wrote and directed an Aldous Snow movie. 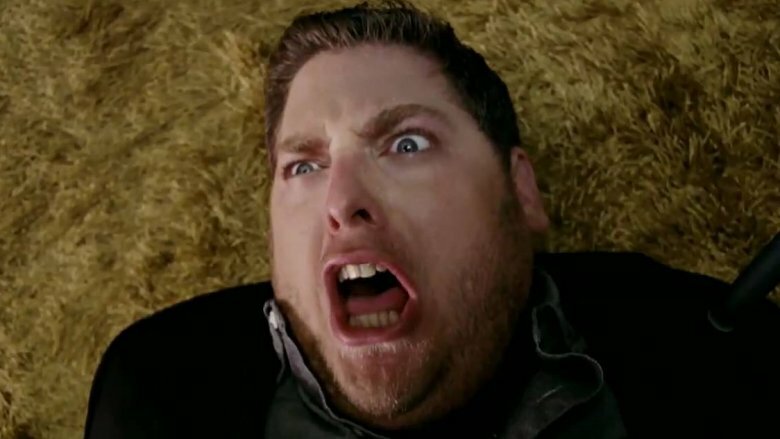 Get Him to the Greek hit theaters in 2010, and centered on an intern (Jonah Hill) at an L.A. record company tasked with wrangling Snow and ensuring he shows up for a concert date at the Greek Theater. It earned $60 million at the box office, virtually the same amount as Forgetting Sarah Marshall. In Knocked Up (2007), Seth Rogen plays Ben, a slacker who gets a driven E! News personality named Alison (Katherine Heigl) pregnant after a one-night stand. They resolve to forge a relationship for the sake of their soon-to-be-born child, but Alison is skeptical it will ever work out. She's already witnessed the long, unhappy marriage of her sister, Debbie (Leslie Mann), and her husband, Pete (Paul Rudd). Knocked Up subsequently spends a considerable amount of its running time examining Debbie and Pete's marriage, as if to suggest Ben and Alison are doomed to fail. After all, Pete is immature and finds Debbie overly uptight, similar to Ben and Alison's dynamic. But Rudd and Mann are such seasoned comic performers that they bring a lot of depth, realism, and humor to their supporting roles, so much so that in 2012 Apatow decided to make This is 40, a whole movie about them, and what it feels like to be in a long-term marriage.